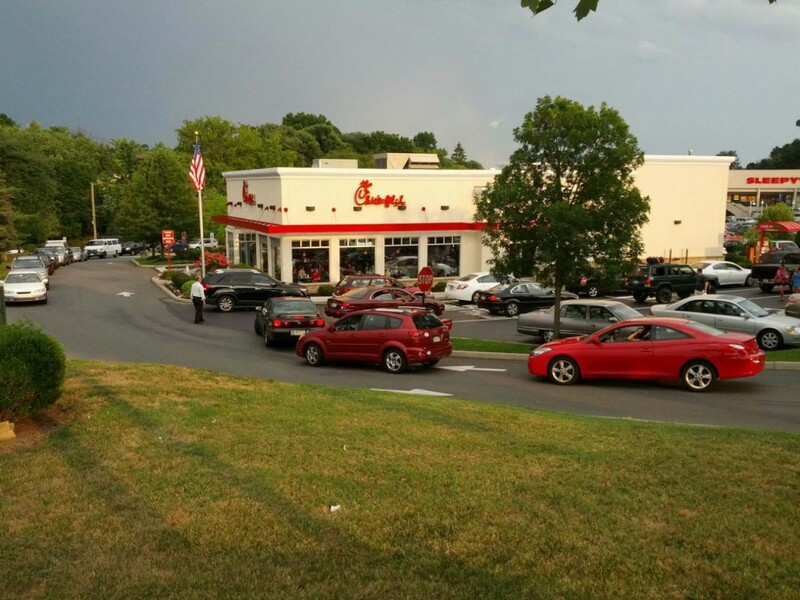 Record crowds turned out yesterday to “eat mor chikin” in support of a popular restaurant chain that recently came under fire for its belief in Biblical marriage. Chick-fil-A was swamped with mass crowds throughout the day at its more than 1,600 locations across the country as part of “Chick-fil-A Appreciation Day.” The event was organized by television talk show host and former presidential candidate Mike Huckabee, who states that he came up with the idea after being disturbed by all of the hateful and intolerant remarks that he had been hearing against the company’s Christian values. Huckabee encouraged Christians to not be “chicken” about their beliefs, but to stand up for Biblical marriage and to show their support of Chick-fil-A’s right to do so. As a result, thousands of citizens in cities nationwide flocked to the popular restaurant chain throughout the day, ordering everything from breakfast burritos to waffle fries to ice cream, and of course, chicken sandwiches. Dining areas were packed to capacity and lines spilled out into the parking lot, oftentimes circling the building. Drive-thru’s were backed up at least a block. “We were in line for 2 1/2 hours and they close just before we got there. There were 150 behind us. It was great to see that many people stand up for Biblical marriage,” commented Alanna Soderna of West Allis, Wisconsin. While the wait was long due to the massive turnout, patrons say that all were very patient and joyful about being able to support the company. Some even stated that the day was one of their best experiences ever at a fast food restaurant. Some locations were so packed that they reportedly ran out of food before day’s end. “We are a family-owned business, a family-led business, and we are married to our first wives. We give God thanks for that,” he said. According to the Washington Post, Cathy had also stated on a radio broadcast in June that he believed that the promotion of homosexual “marriage” was evoking the wrath of God upon America. Cathy’s comments have stirred much discussion on both sides of the issue. Hollywood celebrities have announced that they would be boycotting the restaurant, and mayors from Boston to San Francisco have warned Chick-Fil-A to keep out of their cities. Chicago mayor Rahm Immanuel is one of the latest to state that the popular fast food chain is not welcome in his city. Nonetheless, citizens across the country sent a much different message yesterday, showing that the restaurant will continue to be far from empty in their community. Huckabee says that he has received both good and bad reactions in response to his Appreciation Day efforts. “There have been people wishing me dead on my Facebook page, but after 20 years in politics, I’ve said it’s gonna take a heck of a lot more than that to make me upset,” he stated. 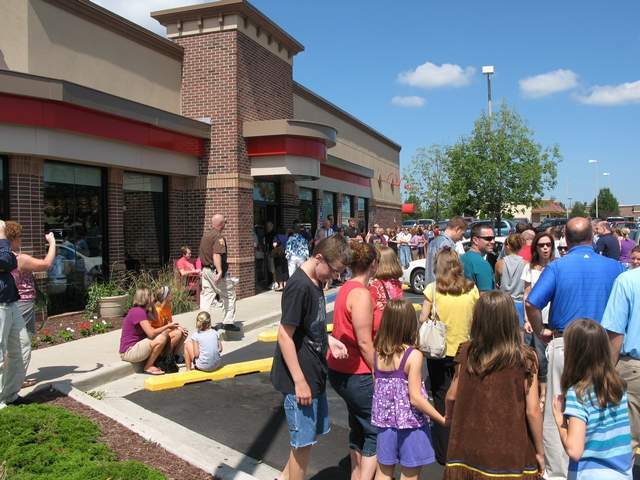 In all, over 600,000 supporters indicated that they would be patronizing Chick-fil-A in observation of the Appreciation Day, but many more simply showed up at the door — sometimes several times throughout the day. 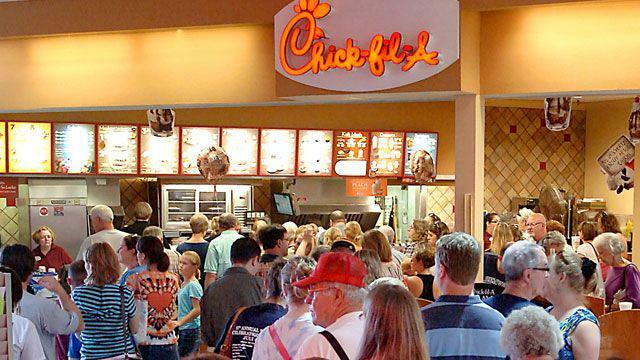 On Friday, homosexuals plan to hold a “kiss-in” at Chick-fil-A locations nationwide as a means of demonstrating against the restaurant’s belief in Biblical marriage. The “kiss-in” will be held simultaneously across America beginning at 8:00 p.m. Eastern. Currently, 2,000 people have stated that they will be participating in the event. While some protesters showed up yesterday to stand against the restaurant, reports outline that in response, managers brought them out free food.